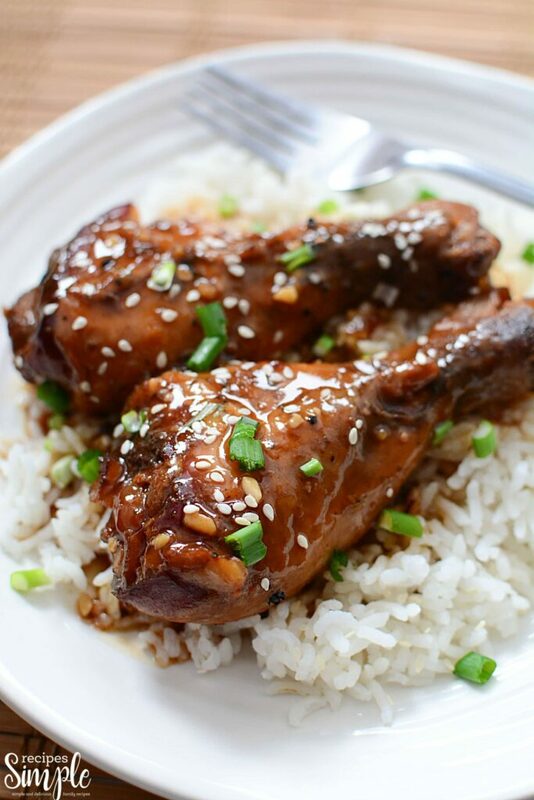 Slow Cooker Honey Garlic Chicken Legs are a perfect dish to serve up on a busy weeknight. Minimal prep work required and the honey garlic sauce is finger-licking good. 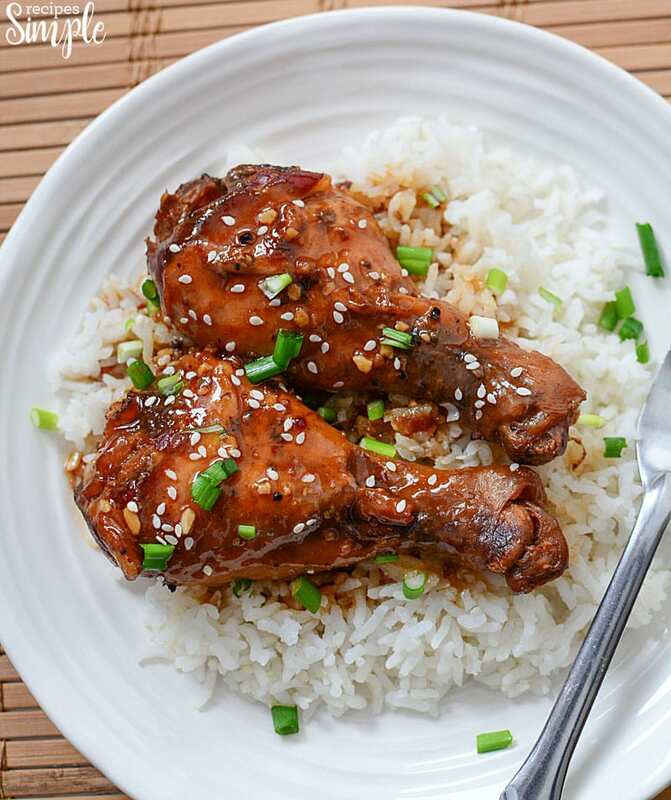 These Slow Cooker Honey Garlic Chicken Legs are great for everyone in the family, even picky eaters. Serve with a side of rice, crisp green salad, or even some steamed vegetables. 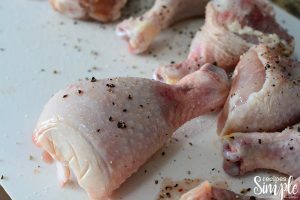 Scroll down for the printable recipe for these chicken legs. My slow cooker is one of the most used appliances in my kitchen. I use it year-round. It’s perfect for cooking all kinds of meats, vegetables and soups. I even cook some of my desserts in the slow cooker. 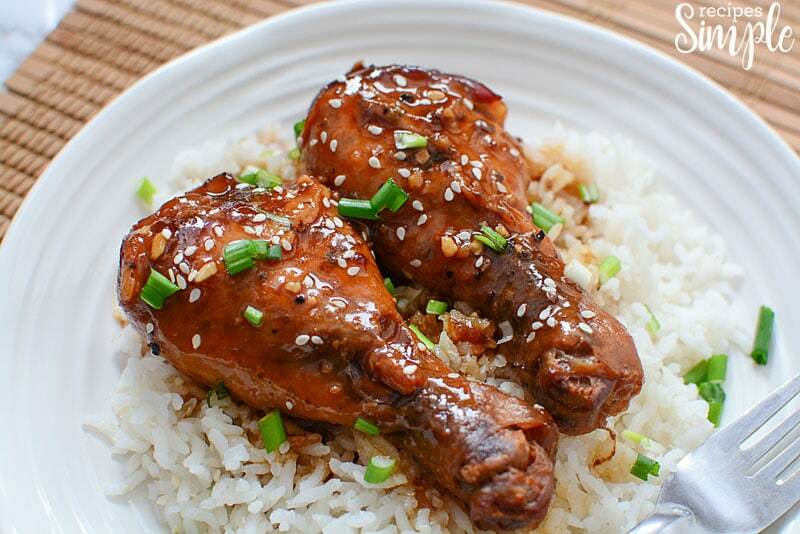 This Slow Cooker Honey Garlic Chicken Legs recipes is one that we make a lot. It’s a simple and inexpensive meal to make that everyone likes. 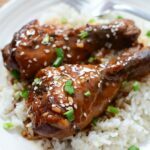 What I love about these slow cooker honey garlic chicken legs is they are simple to make and use basic ingredients you might already have in your pantry. 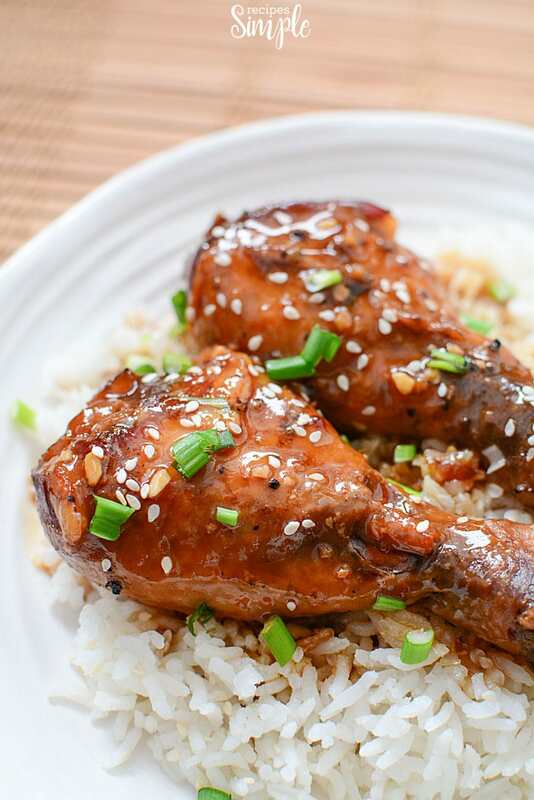 Slow Cooker Honey Garlic Chicken Legs are easy to make. The slow cooker does most of the work for you! Season the chicken legs with minced onion, salt and pepper. Next place the chicken broth in the bottom of the slow cooker then add the chicken legs to the slow cooker. 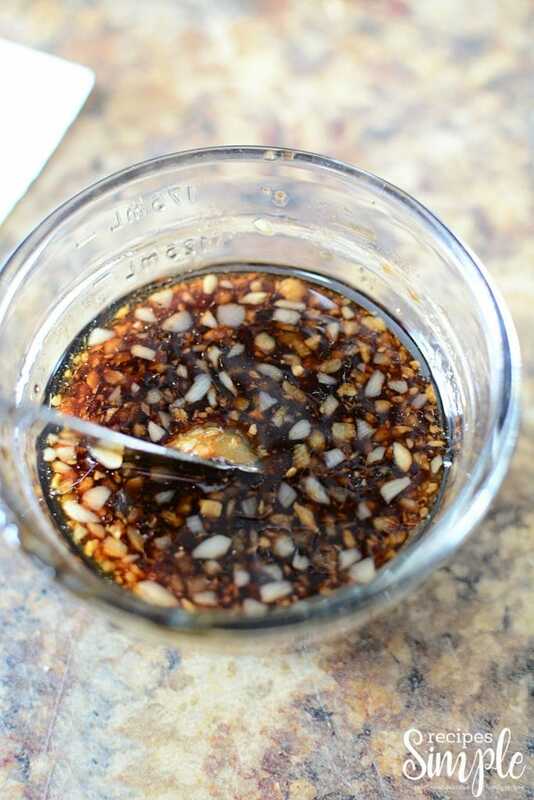 In a small bowl, combine the garlic, honey, onion and soy sauce. 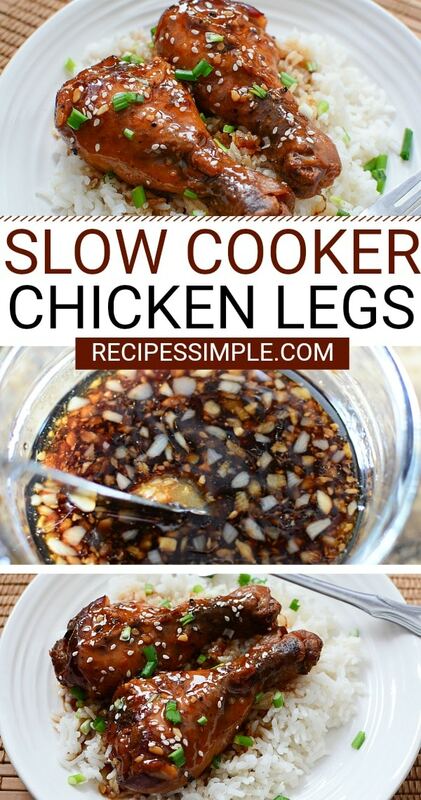 Once you have your honey garlic sauce ready simply pour it over the chicken legs in the slow cooker. Then set the slow cooker to low and cook for 5-6 hours or until the chicken is cooked through. Once the chicken is done pull it out and mix together the water and cornstarch, and then put back in the slow cooker bowl. Add your chicken and cook for an additional 20 minutes on high, to thicken your sauce. Serve with rice or whatever sides you like and you have a tasty dinner ready to go. With the minced onions and pepper season the chicken. Next, pour the chicken broth into the slow cooker and place seasoned chicken on top. In a bowl add your honey, garlic, soy sauce, and mix well. Pour this mixture over your chicken. Set to low for 5-6 hours or until the chicken is cooked. Once the chicken is cooked remove from slow cooker. Mix the cornstarch and water together and stir into the sauce in slow cooker. 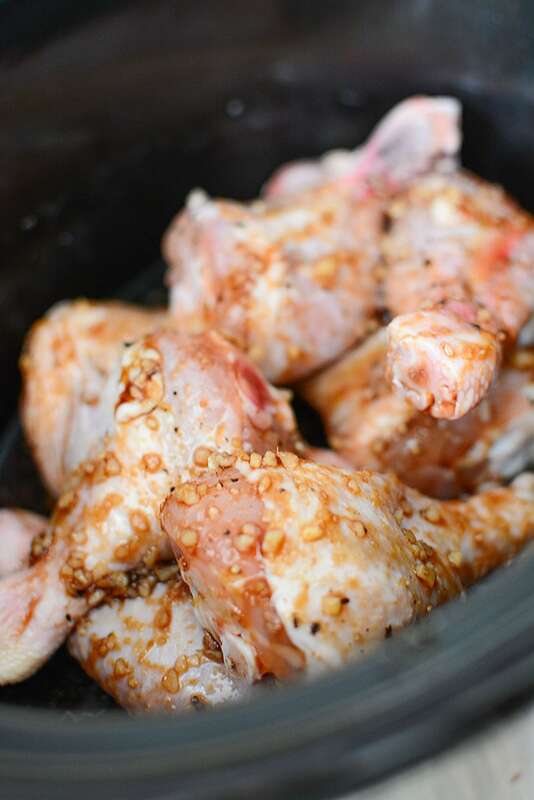 Place chicken back into the slow cooker and turn to high for 20 minutes. This will thicken the sauce. When finished serve on a bed of rice if you would like and garnish.